Self Park or Valet at the Paris Hotel. TWO SHOWS ARE BETTER THAN ONE! 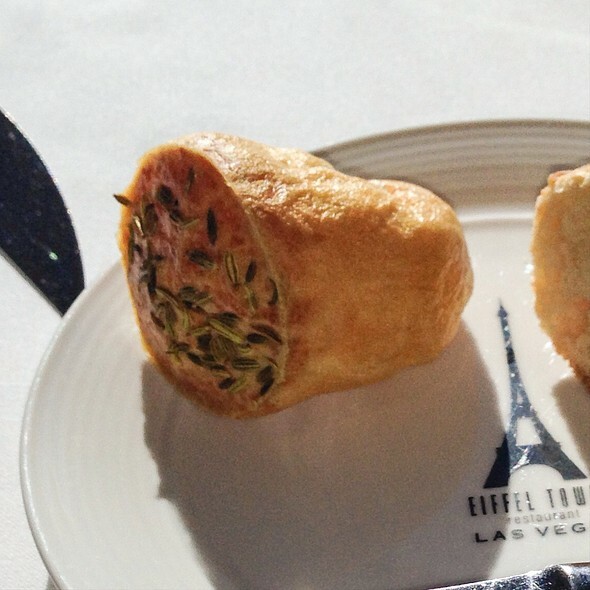 Las Vegas is home to some of the most world’s most incredible and exciting shows…and the Eiffel Tower Restaurant is the perfect place for a pre-theater meal. Reserve a guaranteed* window table now for 4:30pm (5:00pm during SUMMER HOURS from May 23rd to September 4th) and you will not only enjoy a variety of delicious and creative menu items, but you will also experience the other ‘show’ that is Las Vegas…from 11 stories above the famed Strip! Make your pre-show reservations now…and we’ll take care of the rest! We also have a limited number of window tables that can be contracted with a food and beverage minimum and deposit. Make a 4:30pm reservation (5:00pm during SUMMER HOURS from May 23rd to September 4th) and we will reserve a window table for you to enjoy the stunning display that Las Vegas has to offer, while enjoying an evening of Chef Joho’s modern interpretations of classic French cuisine. Reserve now and watch the show that is the Las Vegas Strip…from the best seats in the city! Offer applies to parties of two persons PENDING AVAILABILITY. This place isn't cheap nor is it meant to be. 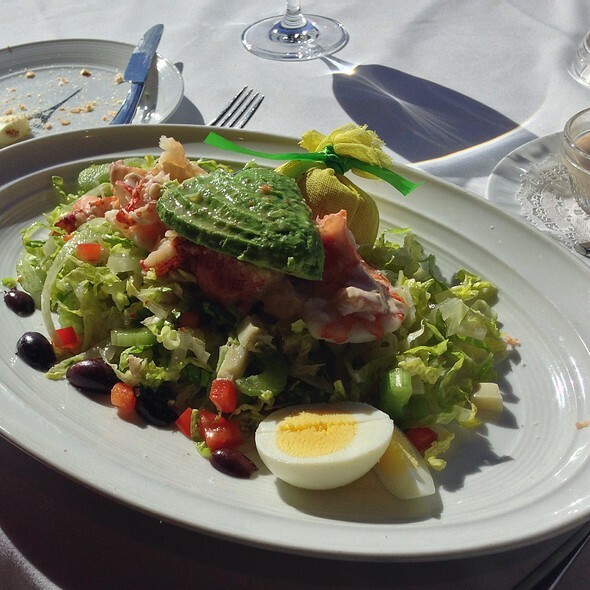 Its a fantastic restaurant with amazing cuisine and views. If this isn't in your budget then don't make the effort because you wont have a chance of enjoying the whole experience. The service, we had a gentleman from Latvia, was impeccable. The food was simply delish and the deserts were to die for. Outstanding ambience with our perfect table close to the window and th fountains. It definitely exceeded expectations and the service was nothing short of outstanding. Thank you Constantine for your care and attention - it really made our evening much more enjoyable. The cost was casually very competive compared to other restaurants of this clas which we have eaten in recently. Table size and shape is excellent with plenty of space of for the side dishes and drinks. Overall, an excellent and fulfilling experience - highly recommended. For whatever reason our food took a while to arrive. Our server did apologize for the wait but by the time our food got to the table it wasn’t warm and it was pretty bland. Not worth $200. The service was ok but that’s really the extent of it. This was my first time here and will definitely be my last. We had Easter brunch at this restaurant and it was a lovely experience. As a party of 2, we were seated along the window with a great view of the Bellagio fountains and part of the strip. I had the club sandwich stack and french onion soup, and my boyfriend had the avocado toast. Both were delicious. We enjoyed a mimosa and shared a creme brule as well. We were able to get a reservation the day before, and were happy with this lovely restaurant for our Easter brunch. I'd definitely recommend this restaurant for a scenic meal! Anniversary dinner was a definite success. Service, setting and food were outstanding. Had a $90 dollar steak which was very ordinary, considering how awesome the steaks are at most Vegas restaurants, this was pretty disappointing. You’re paying for the view of the bellagio fountains, which our table didn’t have. Nothing wrong with the food, it was just very ordinary, and cost way too much for ok food. Wonderful! Service was attentive, and the food was very good. The views are amazing! We had a fantastic special dinner! The view, food, and service was excellent. The view from the restaurant is spectacular. 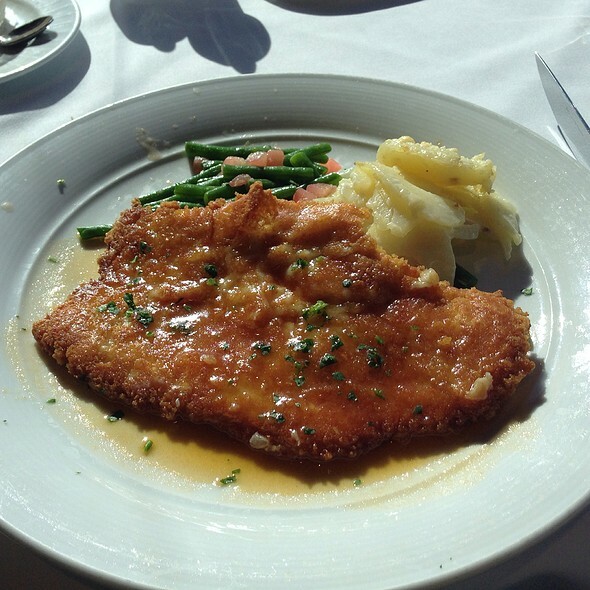 Our service was spot-on, and the food was very good. We were celebrating my daughter's 21st birthday, so this very high end and expensive meal was worth it to us. The whole experience was fabulous and helped us achieve the gold standard of birthday celebrations! I would recommend this restaurant for a special night out in Vegas. Our visit was nice, but because the reservation was at 4:30 p.m. the window shades were not let up and we were told that the sun has to go down first; well that takes away from the whole experience, surely the windows have some tint on them. This was our first visit for both my husband and me. It was our 13th anniversary and we wanted a nice place to have a peaceful, relaxing dinner (escape from a house full of kids). It was a perfect evening! Everyone was polite and nice (my husband and I look young and we find sometimes we get ignored at some places). We never felt like we didn't belong. The view was beautiful, made a 4:30 reservation to have a window seat. Dinner was delicious and dessert was amazing, definitely reccomend the souffle- we had raspberry. Ended our dinner with coffee and a lovely view of the sunset. Our experience was lovely! Would definitely recommend! Our server John (with a beard) made a great lunch into a memorable experience, he joked with us, he made us feel special and he turned what could feel like a stuffy, high class restaurant into a playful experience. The only thing of note was when we stepped off the elevator we didn’t know which direction to go left or right and there was no one there to assist so several of us that got off just sort of went “well I don’t know I guess try this way” For first impressions that turned me off at first just seeing the kitchen and everyone scrambling around with no one to greet us and lead us to the dining area itself. 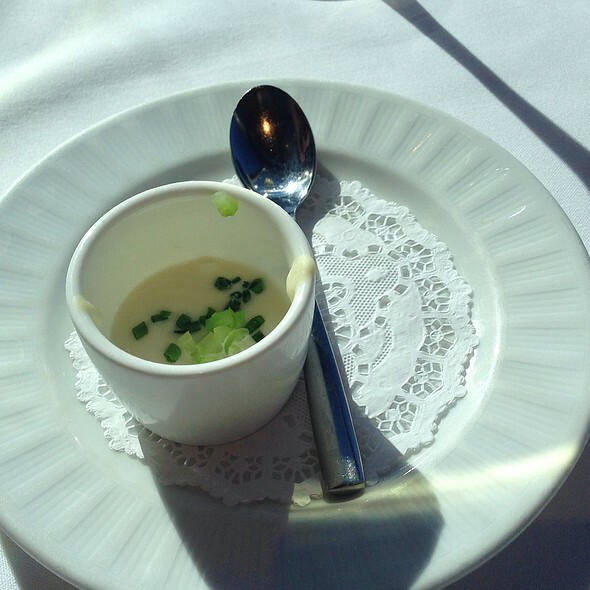 But the remaining experience was wonderful and I cannot say enough about our servers they were exceptional! Every part of the experience was perfect. It’s not cheap but worth every penny. If you want to take your significant other somewhere nice this is the place! The best dining experience in Las Vegas. The food and service creates the best dining experience. The drinks were also delicious, I had the Margarita Moderne and it was delicious and refreshing. Also recommend the espresso with baileys, yummy. 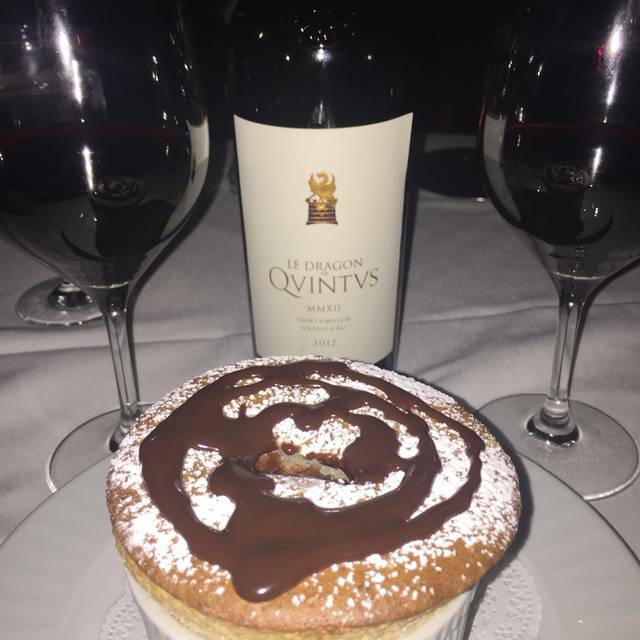 The soufflé was exquisites, get it. Try to go 45-60 minutes before sunset. The service was at a great pace, not rushed at all. Over priced and confusing menu. Menu leads you to believe that a side is included but they are not. They are 12 dollars extra. They have small tables looking out at the Bellagio fountain. Perfect for a romantic dinner for 2. My filet was very tasty, hubby didn't care for his duck, out side our normal dinning. The blood orange reduction was so tasty, on the duck. Potato Anna looked better then it tasted. Now the raspberry soufflé was a superstar! The scallops OMG, SWEET , TASTY, WANTED MORE OF THOSE!!! Yes we will be BACK! The entree was over salted and not hot enough. I had the John Dory sole. The leeks were overdone. The side of au gratin potatoes was excellent. The service felt rushed but then he presented the check and said “no rush”. It was a Wednesday evening. We were there promptly at 4:30 and were seated after a bit of a wait. The two hostesses seemed a bit disorganized. The atmosphere is lovely and of course the view is outstanding but I felt the food presentation for the price was a bit pedestrian. It was my first visit. I should have returned the sole and asked for a hotter entree but I just didn’t want to make a fuss after a long day. We are glad we experienced it and would give it another try. I only wish you could get a window table guarantee after the 4:30 time. Service, atmosphere and food we're all excellent! Friendly staff, great food, best view on the strip! Un très beau restaurant, avec une superbe vue sur les fontaines du Bellagio. Très bon repas. This occasion was during our Annual visit to Vegas and we were celebrating my birthday with our daughter and husband from California. This visit to the restaurant unfortunately was marred by being seated at a table for 4 in a dark corner by one of the decorative posts. We had booked well in advance, confirmed our visit by credit card and even responded to the email guaranteeing a window seat if we agreed to come 1/2 hour earlier which we could not due to our show before we went for dinner. 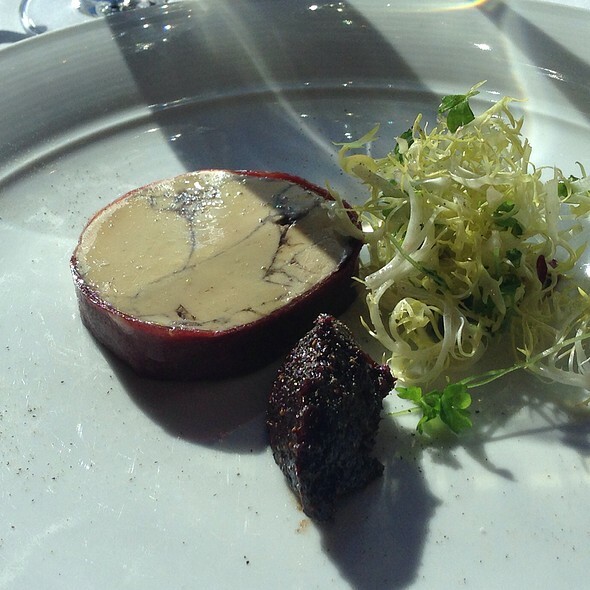 Apart from that everything was great as usual with the service, sommelier’s recommendation and the quality of food. We also were well-dressed as usual befitting the standard of the restaurant. Hopefully next time this will not happen again as it has not in the past. Perhaps some oversight on your greeting and seating staff would be in order as we did not want to complain with our family there on this special occasion. Was a nice restaurant in the past, now is terrible. Poor food and expansive wines, looks old and dirty, starting from the elevator. The top desert the suflair is miserable, was the best in Vegas. Was my birthday and they did not even mention !! The hosts aren't polite. Very sad, won't come back no more. I have visited before and I enjoyed the atmosphere tried something different on the menu and I wasn't as impressed with my meal but I will definitely return. Service was horrible for paying as much for our special anniversary dinner, had to ask the manager to check on our food, so slow I really think the waiter forgot to put our order in. Food was rather awful especially for the price. Parisian food is meant to be flavorful and we all unanimously agreed that it was awful. 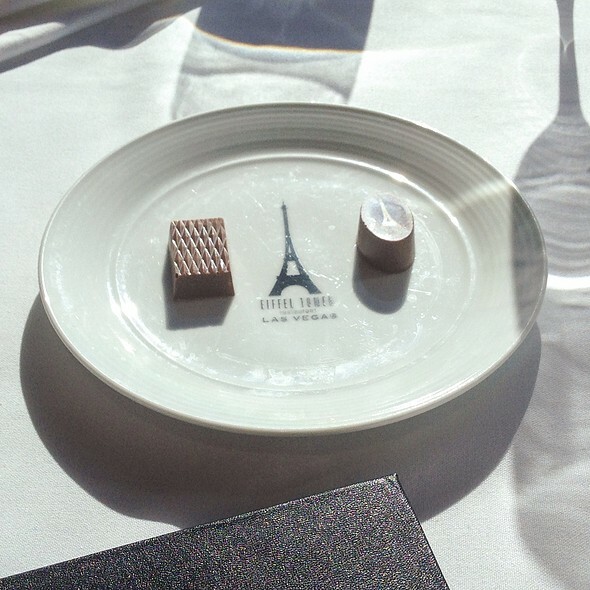 The restaurant gets its visitors there for the view and for the theme of dining in the Eiffel Tower but the perks end there. 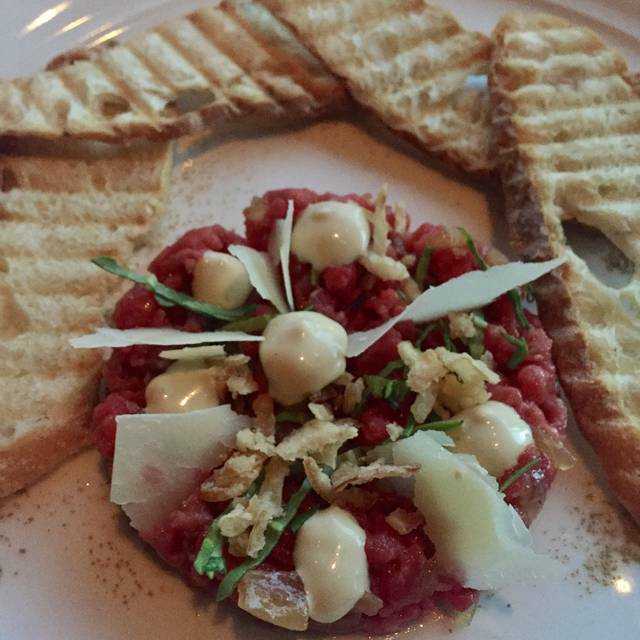 outstanding service and food, a bit pricey but the entire experience is well worth it! We celebrated my birthday there and had a wonderful experience! We had a table by the window and a beautiful night to watch the fountains. The service and the food were fabulous. A great experience. 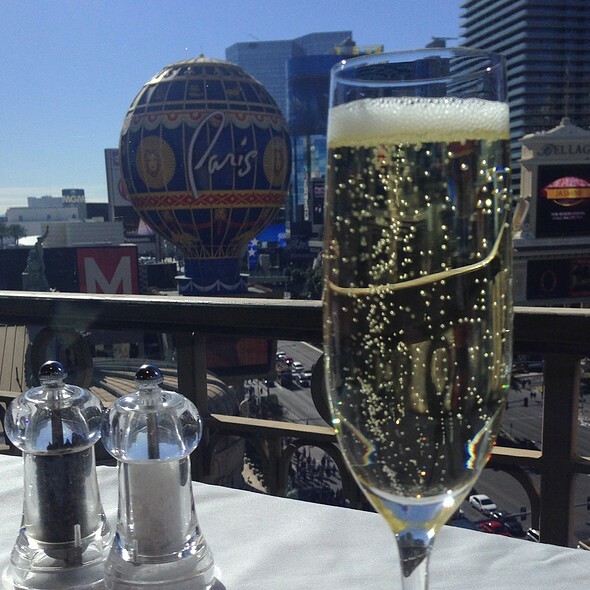 Ask for or wait for a table by the window for a wonderful view of the Bellagio fountains. Food was very good and the service was excellent.